As the school year is drawing to a close, it's time for lots of field trips! Keeping track of kids on a field trip can be stressful, especially if they are very young, or have special needs. 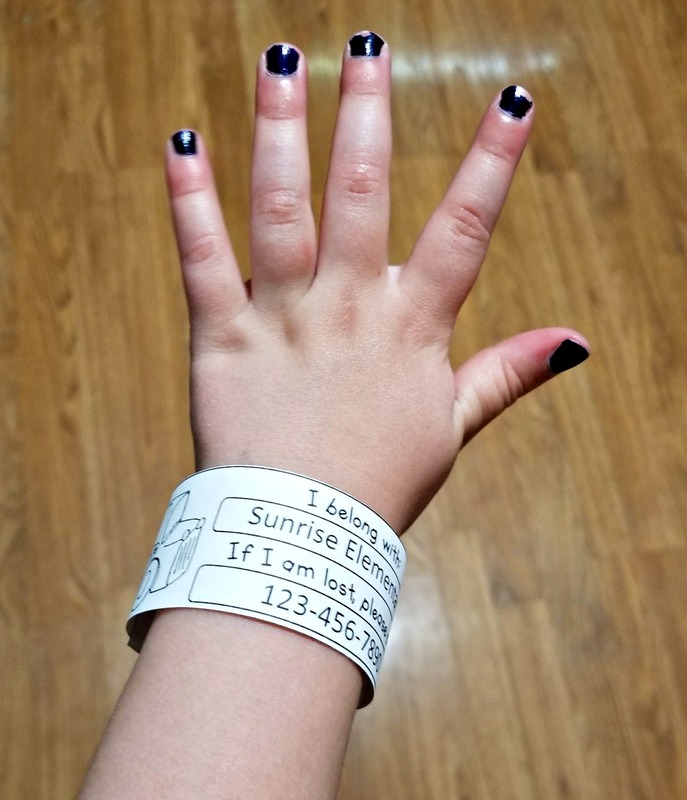 These printable wristbands provide an extra safety precaution as you prepare to take your kiddos out to explore the world! They are super quick to use. Just type the school or teacher contact info into the boxes, print, and go! Print on bright paper for greater visibility. Or, to really make organization easy, print on a different color for each chaperone's group. Get your printable wristbands here in my TPT store! I would love to hear about the awesome field trips you are taking your students on. Leave a comment below to tell me about your favorite field trip, either as a student or a teacher!